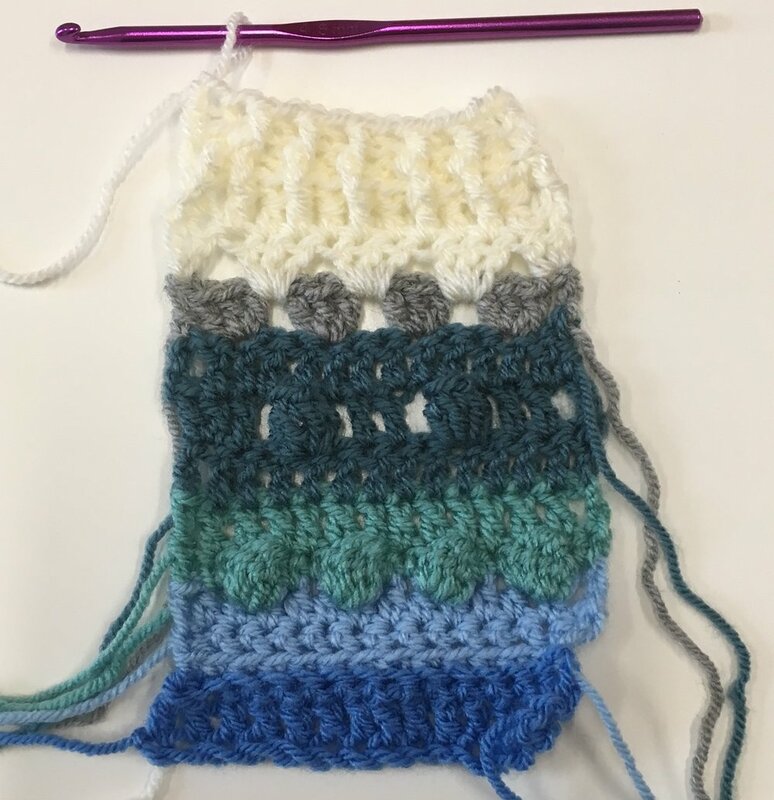 After a week's break, we were back today with a 4 hour crochet workshop that covered reading patterns & charts, and some more advanced stitches such as bobbles, popcorns and ribs. We also looked at the different parts of the stitch to work into. It was a busy weekend with two workshops running on Saturday. Make a Mosaic ran during the morning and lots of lovely mosaics were made (see pictures below). There's such a wide selection of tiles, stained glass and crockery to use that all the mosaics look completely different, even if they are the same shape. 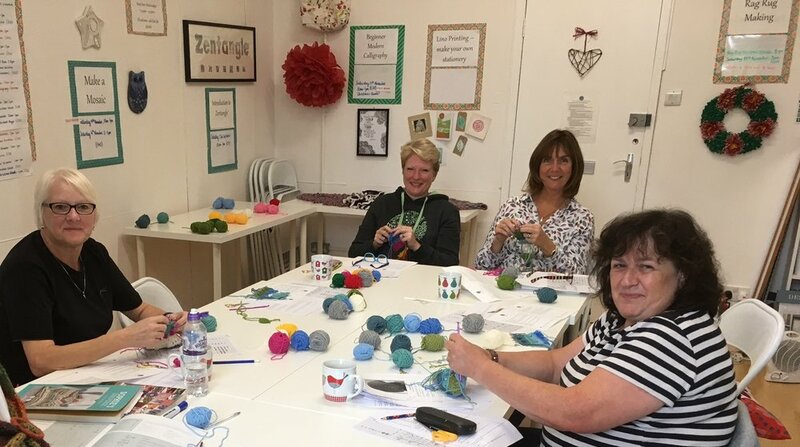 In the afternoon it was beginner crochet, with both learners successfully making a granny square during the session. Now they just need to go home and practice!